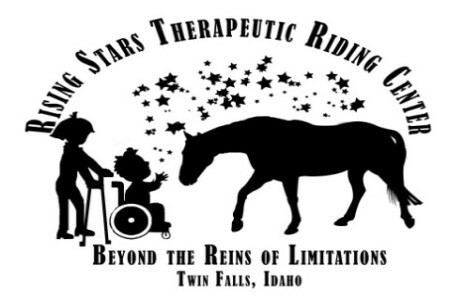 We will be using these funds to help us build a public building including therapy rooms, accessible restrooms, office space, and a family area where people can watch their loved ones participate in our equine assisted therapeutic activities. The building will be attached to our indoor arena which we hope to build in the next year. Recent property purchase by Rising Stars along with improvements like this therapy building will allow us to serve our current participants so much better and ultimately increase the number and diversity of people we are able to serve. The Blue Lakes Rotary Club is supporting the Twin Falls Optimist Youth House. This home will be a place for aging-out Foster Children to live, develop life skills, have the support of the community, and have an opportunity to be successful in life as they transition to adulthood. Aging-out happens when a child in foster care turns the age of eighteen. Most do not have a safe nor permanent home. These young adults rarely have a driver's license, employment experience or even the simplest of skills such as doing laundry or cooking. They are typically still dealing with the trauma and emotional stress they have endured before and during their time in the foster care system. The Optimist Youth House is the first of its kind in the Magic Valley. These young adults need the support and guidance of our community to ensure they are successful and not only succeed but thrive as active members of our society. We are very excited to say that the donation from Glanbia will provide us with the funding we need for the new roof over the auditorium on the historic Schubert Theatre in Gooding! With the new roof on to stop the water damage by the leaking roof, we will soon be able to begin the restoration inside. We are thrilled that Glanbia has chosen to be part of this historic restoration. We are dedicated and passionate about the full restoration of this project and will look forward to the next phase once the roof is on this fall. Our mission is simple, “No kid sleeps on the floor in our town” and our town is your town. The Charity Challenge funds that will go directly to the ID, Twin Falls Chapter in support of our mission. This is done through the purchasing of build materials such as wood and hardware, tools, bedding, mattresses, transportation expenses, warehousing and other valuable resources. The goal for 2018 is making 200 bunk beds. That is 400 kiddos in the Magic Valley that we will get off the floor and into beds, which more than doubles last year’s goal. The Charity Challenge contribution alone will help us reach the 75% mark, building nearly 75 bunk beds and directly helping 150 kids off the floor. It will also provide an opportunity for over 200 residences of Twin Falls the ability to volunteer and give back to their community by helping build and deliver these beds to kids. WE HOPE TO SEE YOUR NAME HERE NEXT YEAR! !